This is the Beautiful responsive WP Page Builder Portfolio. Display Portfolio OR Projects in a grid view. Showcase your portfolio. Rhino Portfolio is the Custom Portfolio post type. Add portfolio items with graphics and other details to showcase them in a conversion-friendly way. Must install WP Page Builder with this plugin. After installing the plugin, go to the “Settings” > Permalinks > click “Save Changes”. Do you have any Free theme? Can I use the plugin without WP Page Builder? 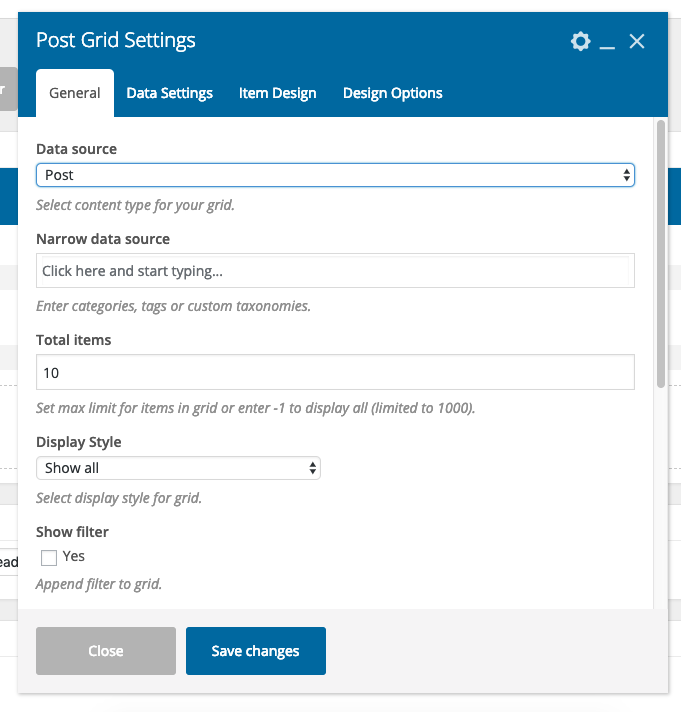 Yes, you can use with WP Bakery Page Builder “Post Grid”shortcode. Yes, you can use this plugin with any theme. Why Themeum WP Page Builder? This plugin only works with WP Page Builder and WP Page Builder is the ultimate tool to develop your website. Extremely fast. Easy to use. Absolutely no coding required. You can also use WP Page Builder with your existing WordPress theme and make your site beauty. Rhino Page Builder shortcode made for WP Page Builder.